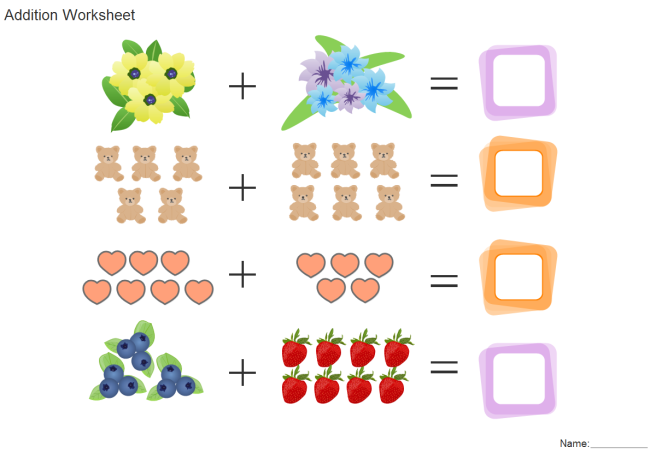 Description: A beautiful and lovely addition worksheet is offered for free download. It makes math learning fun and happy. You can also make attractive worksheets easily in Edraw worksheet designer.